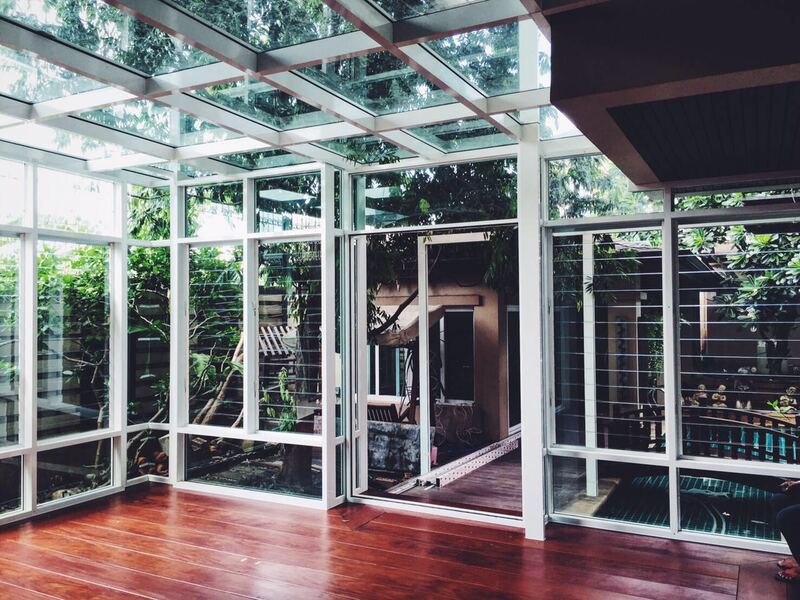 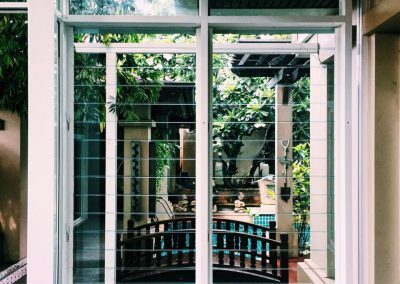 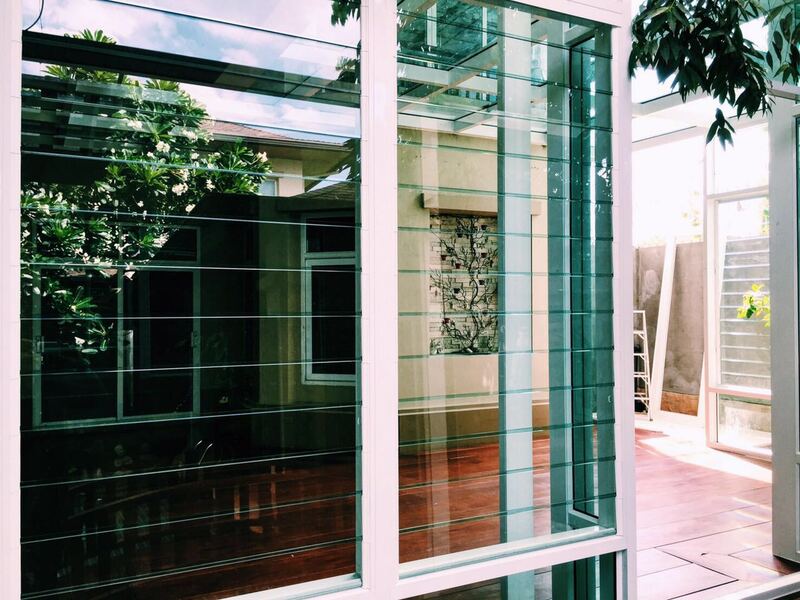 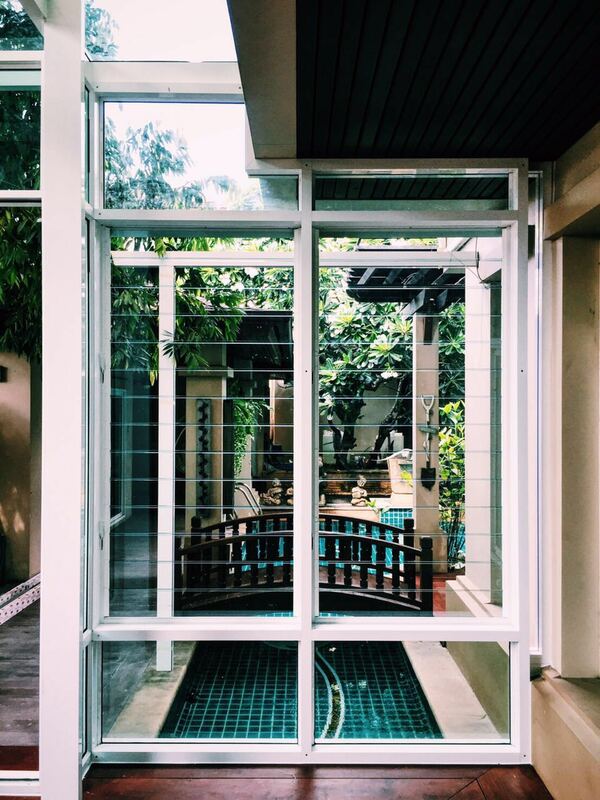 Breezway Altair® 152mm Louvre Windows with low profile handles adorn a home called Prinsiri in Bangkok. 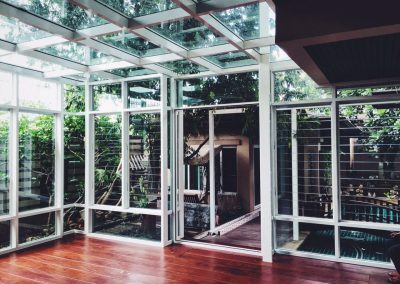 The louvre windows complement the overall design of the home and provide a good balance between natural light and fresh air to create an ideally comfortable home environment for the family. 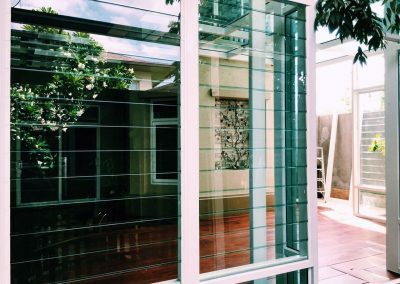 By installing multiple bays of Breezway Louvres around the home, views to the outdoor environment can be optimised when using glass blades.